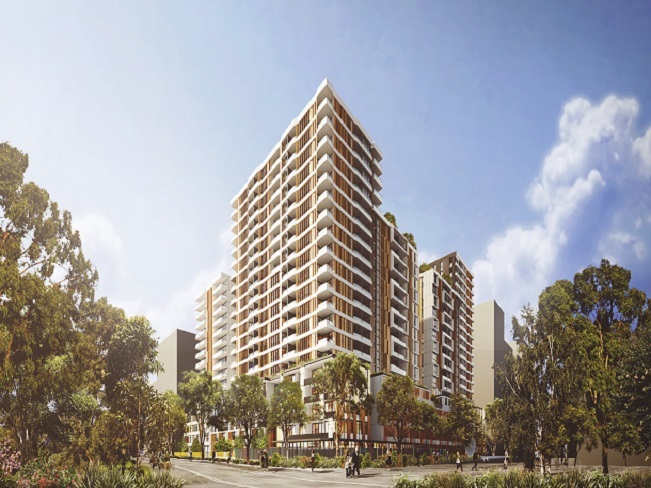 Pagewood Green, just 8 km from the CBD, is a flagship venture for Australia’s largest apartment developer, Meriton. 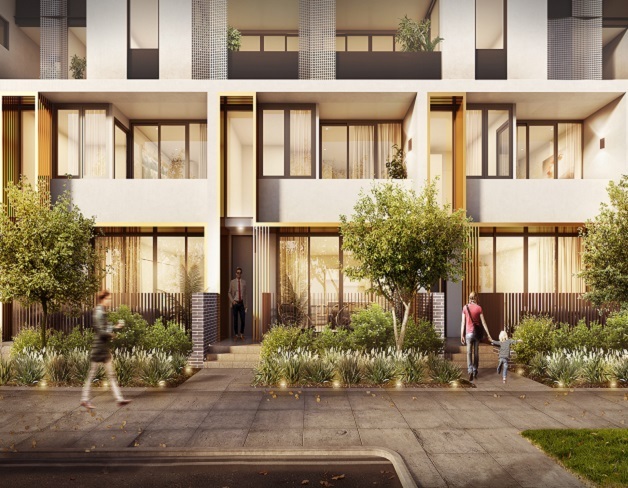 Each stage of Pagewood Green is being designed by industry acclaimed architects to meld in to the expansive site. 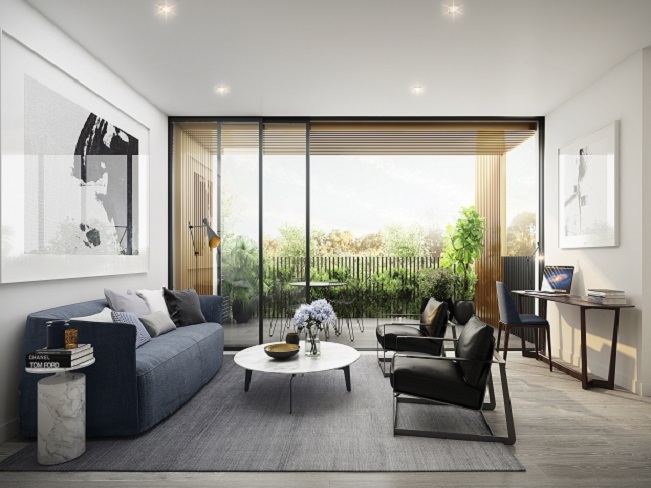 Pagewood Green is poised to offer a unique opportunity to step into luxury and lifestyle in Sydney’s eastern suburbs. The master planned par-like community will be home to grand residences offering optimum sizes up to 197 sqm with superior finishes in a premium location. 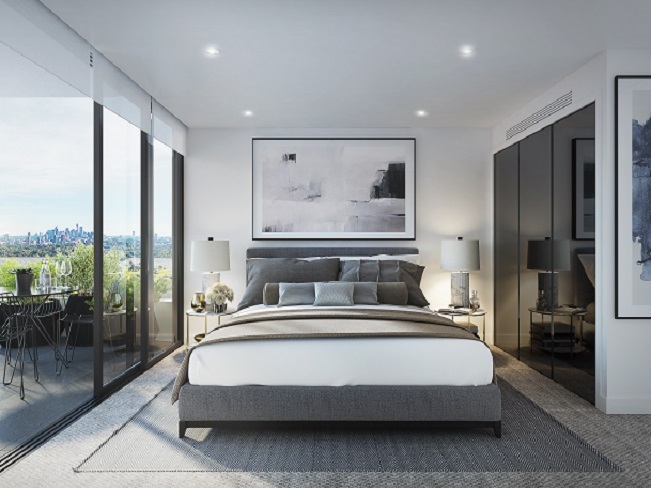 The first stage of Pagewood Green, Allium, will rise to new heights of up to 20 storeys showcasing uninterrupted views of the city, championship golf courses and surrounding parklands. 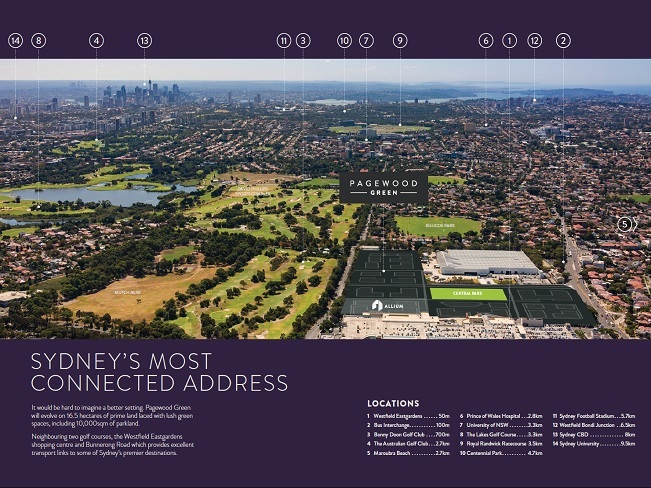 Pagewood Green will evolve on 16.5 hectares of prime land laced with lush green spaces, including 10,000sqm of Parkland. 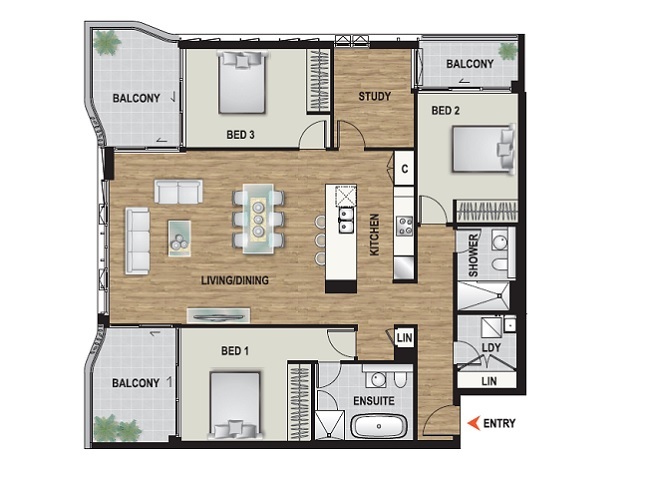 Neighbouring two gold courses, the Westfeild Eastgardens shopping centre and Bunnerong Road which provides excellent transport links to some of Sydney’s premier destination. 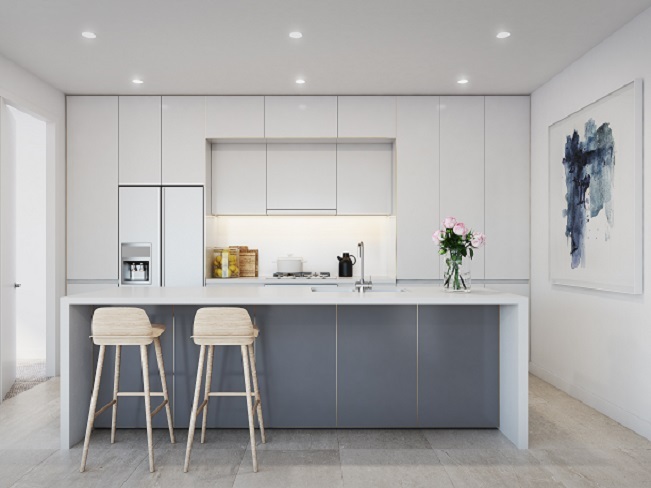 The Pagewood Green site is a short walk to Westfield Eastgardens with over 300 specialty shops, including three major supermarkets, and a Hoyts cinema. Residents, via new roads through the site, will be able to jump on a bus to Sydney Airport or catch the south-east light rail to the University of NSW and the Sydney CBD. The site is also a short drive to some of Sydney’s most beautiful beaches, parks and major freeways that access nearby business districts. 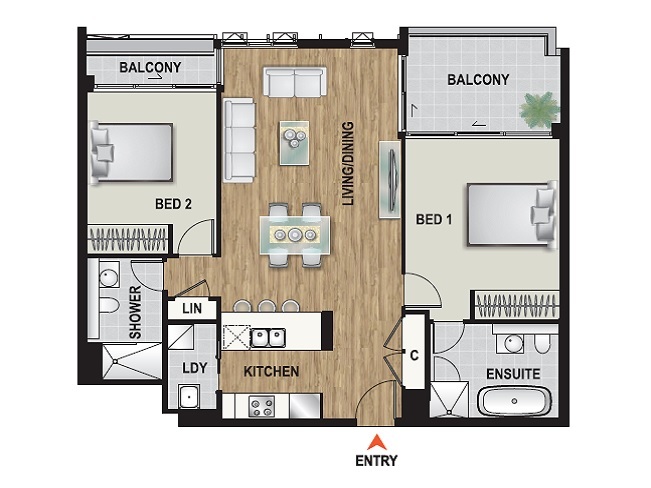 Residents will step straight in to luxury as they walk through extravagant lobbies and ascend to their exceptionally large grand residences – apartments of house like proportions with large balconies to terraces that serve as outdoor rooms with uninterrupted views of the golf course. Designer kitchen is fully equipped with world-class Miele kitchen appliances, stone splashbacks and Caesarstone benchtops. Frameless, smoky mirrored built-in wardrobes in all bedrooms provide ample storage for bedroom necessities. 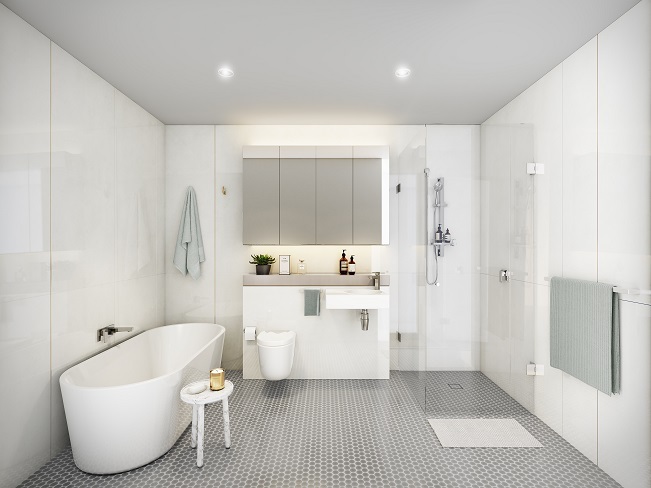 Elegant ensuites with a freestanding bath create stylish havens in which to unwind with ample concealed and open storage for your bathing essentials. Allium’s floating podium and rooftop sky gardens will be private havens for the exclusive use of residents and guest. 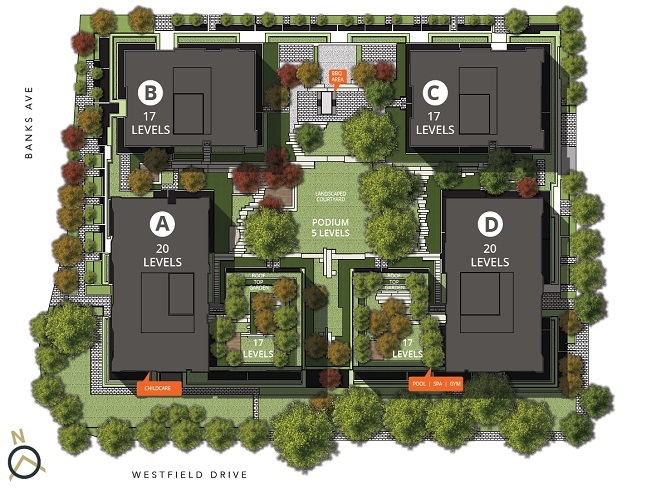 Both of you can enjoy the landscape and BBQ facilities at the level fifth. A variety of leisure activities that will include resort facilities such as a pool, gym, spa and sauna. On-site childcare facilities will ensure children are in safe hands. A building manager will look after apartments to give owners that extra peace of mind.